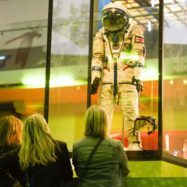 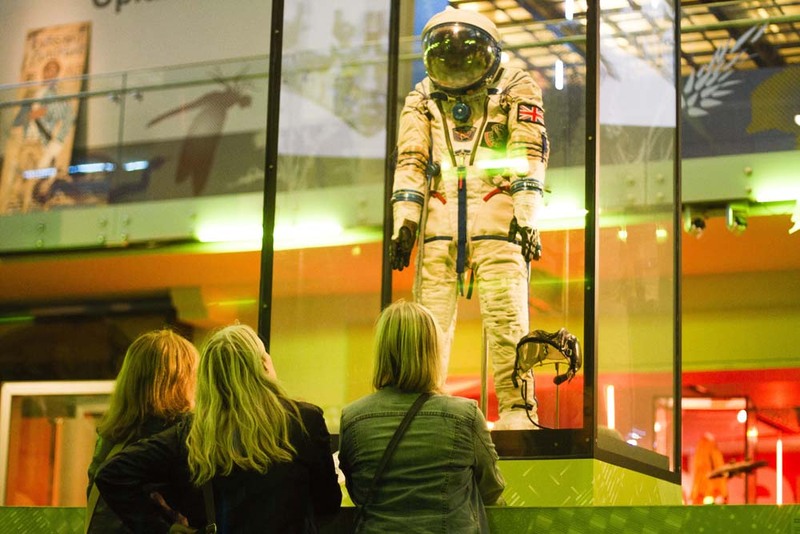 On Friday 17 August The Hexagon Experiment continued with ‘Adventures In Flatland‘, this time inhabiting the Great North Museum: Hancock. 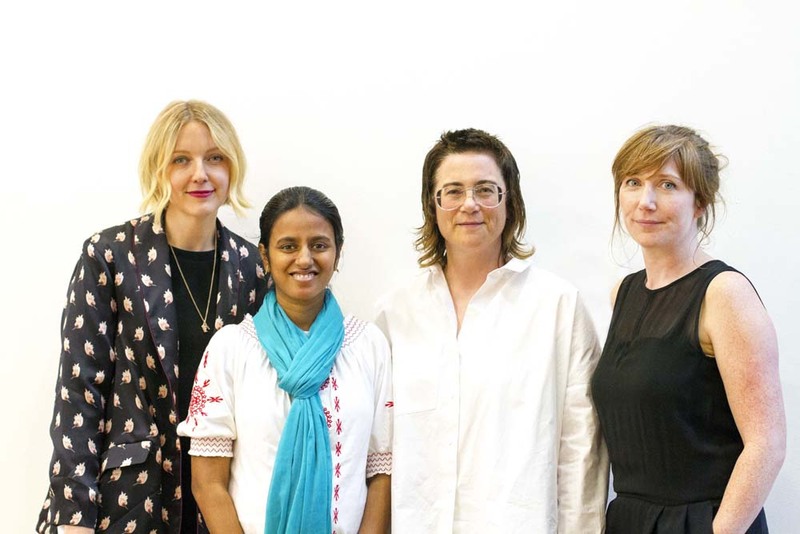 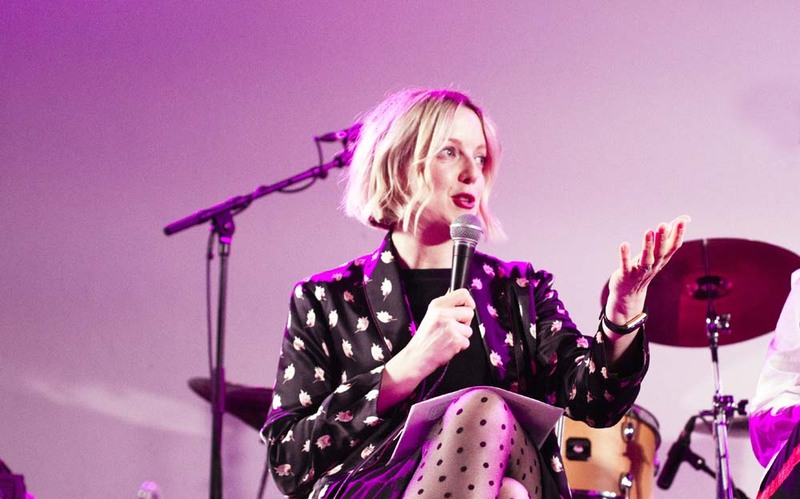 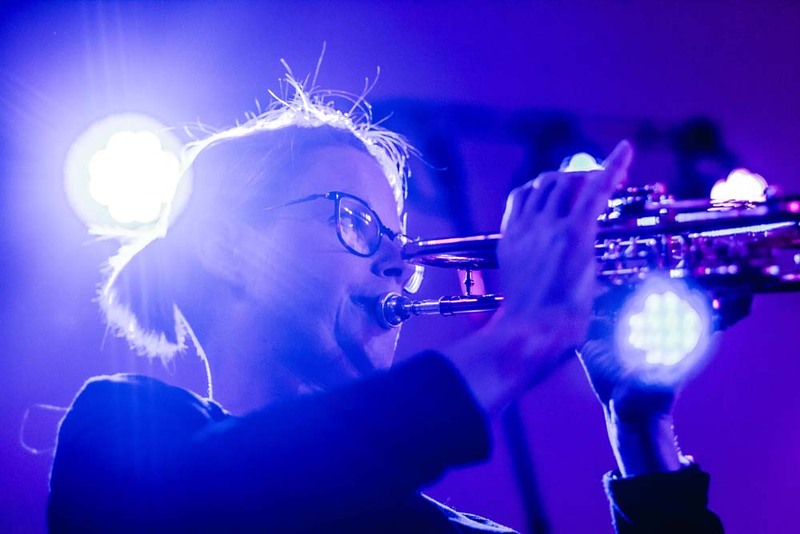 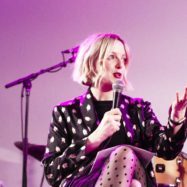 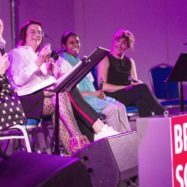 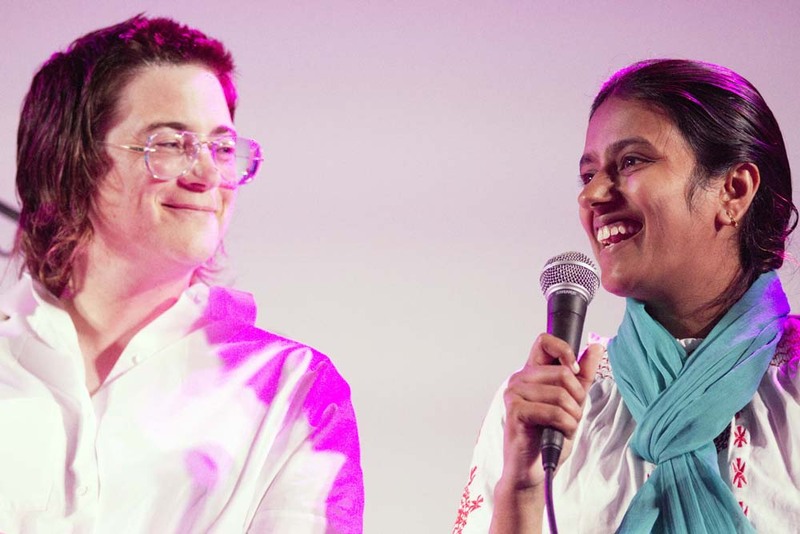 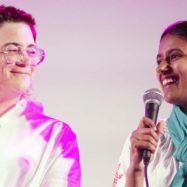 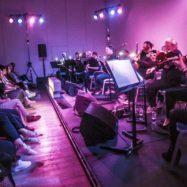 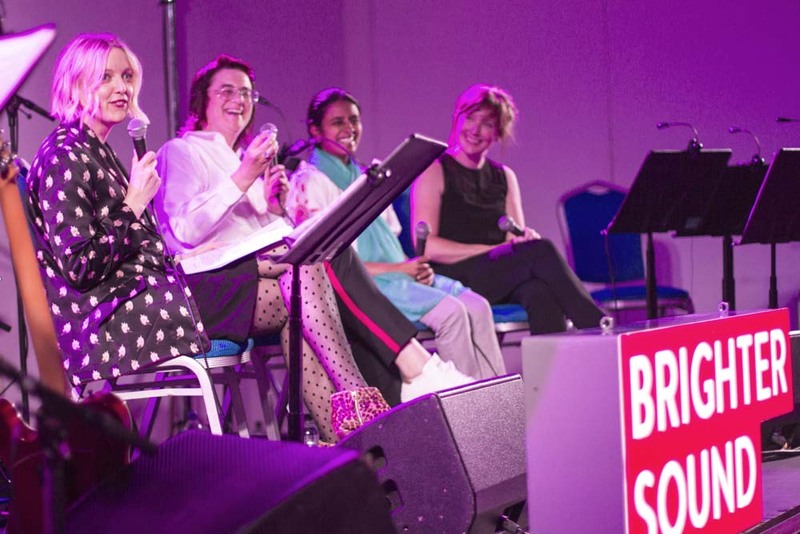 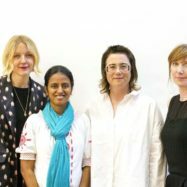 Hosted by Lauren Laverne, the pre-show conversation featured composer Sara Lowes, visual artist Mary Griffiths and Dr Radha Boya from the School of Physics and Astronomy at The University of Manchester to discuss their experiments with music, art and science. 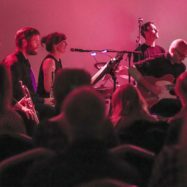 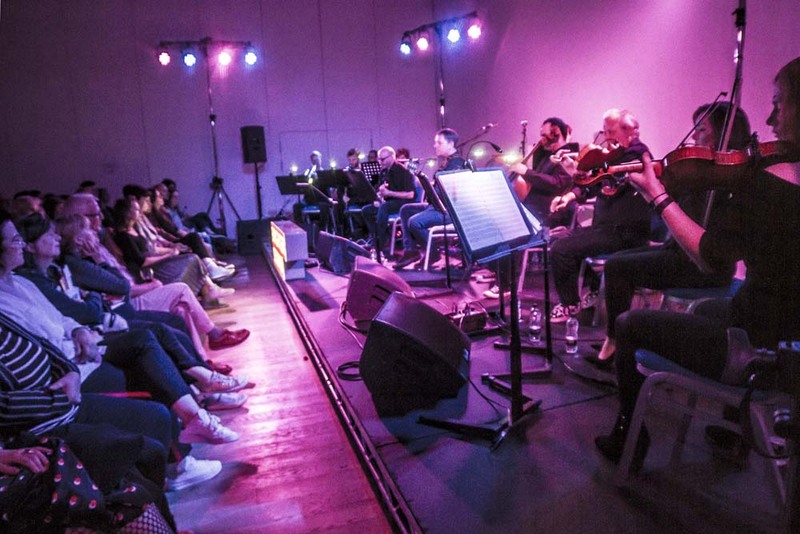 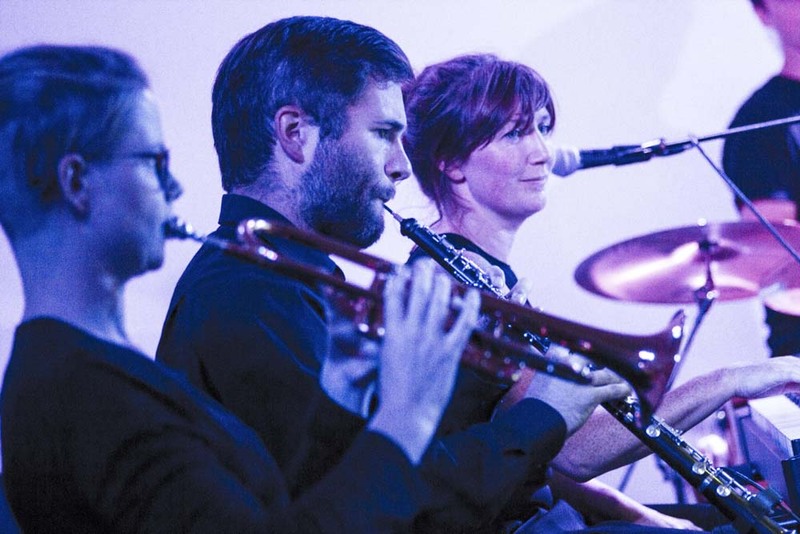 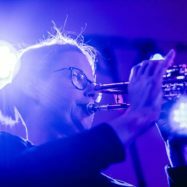 Sara Lowes and her band then took to the stage and performed the six-movement long graphene-inspired composition Graphene Suite. 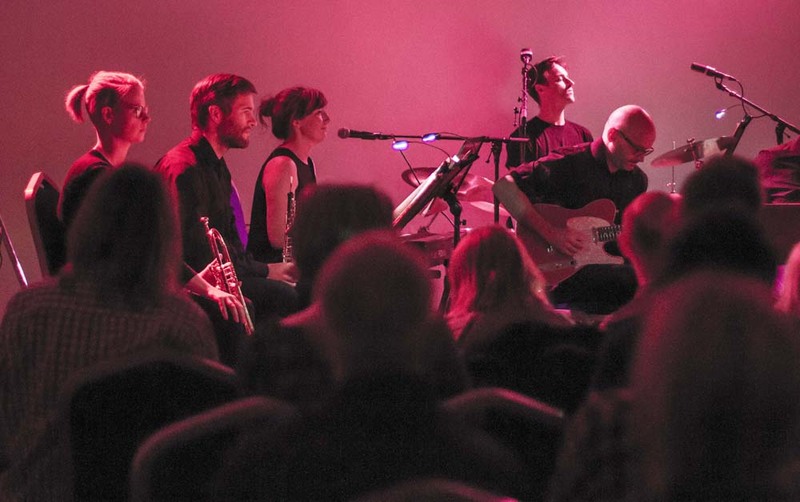 Following this the second movement was repeated as Mary’s graphene-inspired artwork was projected on the backdrop. 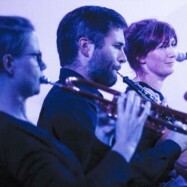 You can hear a couple of the movements here.